The Lyulka-Saturn joint-stock company has been making jet engines for combat aircraft for more than fifty years. The hallmarks of the national aviation were such warplanes as Su-7B, Su-17, Su-24, Su-27, all of which took to the air being powered by the AL-designated engines. The AL-31FP thrust vector-controlled (TVC) engine is the heart of one of the best modern aircraft that is Su-37. The Lyulka-Saturn company was the first national engine-builder to have created a fifth-generation jet engine for future XXI century fighters. The engines built by the design bureau have always attracted keen interest of experts. Academician Victor Mikhailovich Chepkin, Director General/Designer General of the famous company, has kindly agreed to answer Air Fleet's questions. 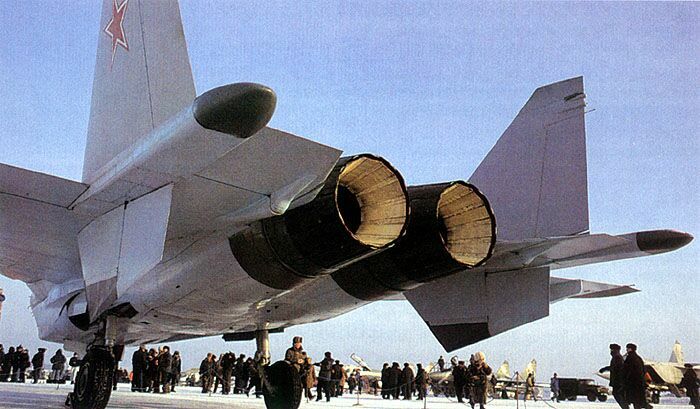 Victor Mikhailovich, it is known that your company is going to participate in the international airshow in China in cooperation with two aircraft production plants, namely: the Moscow-based Salyut Machine-Building Plant and Ufa Engine-Building Association. What is the reason for that alliance? Our company was founded more than fifty years ago and is specialised in the development of engines for combat aircraft. We believe, development of AL-31F family engines for the Su-27 derivatives (such as Su-30, Su-33, Su-34, Su-35) is currently our primary task. The version of that engine, fitted with a TVC nozzle, has been developed and undergone most of the tests. It is this engine that we are going to display in China, and not only display but also offer for sale to foreign customers. That's the reason why we have teamed up with the Moscow-based Salyut and Ufa-based engine-building plants which are the producers of the series AL-31F engines. Nowadays, the AL-31F engines are known to be mounted on the Su-27 and its derivatives only. How about fitting other aircraft with them, future foreign planes, in particular? The Lyulka-Saturn company is currently engaged in developing a whole series of engines based on the AL-31F. One of them is the AL-31FN turbofan engine featuring engine accessory gearbox and aircraft accessory gearbox mounted beneath. The basic variant boasts those gearboxes mounted on top of the engine, which resulted from peculiarities of the Su-27's aerodynamic configuration. However, aircraft designers require sometimes gearboxes to be mounted beneath the engine. For example, American F100 and F110 engines, mounted on the F-15 and F-16 fighters, employ such a design. In principle, repositioning of the above gearboxes does not pose any significant problem for us. If a customer wants an engine fitted with, say, side-mounted accessory gearbox, we will make it for him. This is a mere technological task. A real problem is controlling the thrust vector. We have been trying to solve that problem for 12 years. What problems did you face while developing a swiveling nozzle? A lot of spears had been broken in choosing the very system of thrust vector deflection. The Americans went one way, we chose another, quite different to boot. While developing the swiveling nozzle, we encountered a most formidable problem - that of the seal between the moving and static parts of the nozzle. The exhaust gas pressure here reaches seven atmospheres with temperature running as high as 2000 degrees centigrade. The sealing of the point where two parts of the engine - the static and moving ones - meet, must be ideal, since the gas leakage here means a fire on board the aircraft. The second important problem is how to provide reliable control of the nozzle itself. Fancy that: during the take-off, the nozzle at an altitude of 15 m deflects on its own into the pitch position. In 1-1.5 seconds, the crash will be bound to happen. At a low speed, the pilot is absolutely unable to counter the sudden negative pitching moment, since the alteration of the thrust vector at full reheat is enormously powerful exceeding the effectiveness of the aircraft control surfaces. 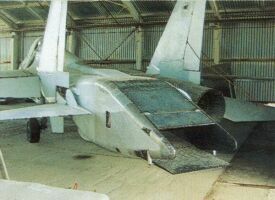 The AL-31FP boasts an axial exit nozzle. That is to say the nozzle is circular. It is known that your overseas counterparts used to try to solve the thrust vector control problem via the use of a flat nozzle that should be easier to swivel. What do you think of that? In the late 1980s, we were engaged in the development of the flat nozzle too and conducted a thorough research. The Ufa-based Motor Scientific Production Enterprise under the guidance of Chief Designer Alexei A. Ryzhov manufactured an experimental flat nozzle that underwent a series of tests. The conclusions were as follows. Presently, the flat nozzle has two inherent snags which, in principle, have not been dealt with yet. Firstly, the turbine is round but the nozzle is flat with a distance between them being small. The distance cannot be increased because this would lead to an increase in the overall length of the aircraft, a loss of thrust, etc. While transforming the circular gas stream into the flat one, the nozzle, developed by Mr. Ryzhov, was losing 14-17% of thrust. Unfor-tunately, the gas stream cannot be "bent" as we would like it to. It has its own laws too. So far, no one has managed to transform the circular gas stream into the flat one without losing thrust. The very same snag was hit by the Americans in developing their F-117 featuring a non-afterburning engine. Such engines lose approximately 15% of thrust too. However, the F-117 is a specialised Stealth aircraft with the main requirement of ensuring "invisibility". It does not need a real good thrust/weight ratio. That is why the Americans put up deliberately with an unavoidable loss of thrust but benefited from reduced signatures. whose left engine was fitted with a flat variable-geometry nozzle. Secondly, the other primary problem is weight. The circular TVC nozzle produces only tensile stress while the flat one exerts bending stress as well. Those stresses require special measures to be taken to ensure the nozzle strength in order to avoid deformation of the nozzle. Those measures mean additional weight. The flat nozzle made of metal is heavier than the circular one by approximately half a tonne. Mind you, the whole AL-31FP fitted with its circular swivel nozzle weighs a little bit more than 1500 kg only. So, the use of a flat nozzle implies an extra tonne at the rear of a plane (two-engine are meant here, which make up the most of modern fighters). The problem can be circumvented through the use of the "carbon-carbon" materials which have low specific weight and can stand high temperature. But they burn in the end anyway, since they are based on the very same coal. Nobody has solved the problem of preventing carbon-carbon units from burning during their operation as part of an aircraft engine. Currently, such materials covered by a thick layer of fire-resistant ceramics are used only in manufacturing the control surfaces of rocket engines. The latter are actually disposable since their operation never exceeds 40-50 seconds while an aircraft engine service life amounts to 1,000 hours or more. So, the problem of ensuring an effective long-term protection of the non-metal nozzle is still to be solved. Thus, development of the flat nozzle encounters two problems - the loss of thrust (and it is not resolved even in theory) and the extra weight. With those two problems in mind, we stick to the circular nozzle. The current state of national economy prevents the Ministry of Defence (MoD) from ordering new combat aircraft, to include Su-30 and Su-37 that the AL-31FP TVC engines are mounted on. However, is it viable to retrofit the operational Su-27s with these powerplants? Yes, it is possible. We are even ready not only to retrofit the Su-27s with new AL-31FP engines (preparation for their manufacturing at Moscow's Salyut and Ufa's plants have been underway for some time) instead of the AL-31Fs which completed their service life, but to update the series AL-31Fs dismounted from planes for repair. Naturally, such engines will have to be sent to the plant because we will have to fit them with a new nozzle with all control devices, as well as to enhance their strength. This is necessary to ensure transmission of lateral force to the aircraft during the deflection of the thrust vector. But this updating is rather inexpensive and makes up around 15% of the engine cost. At the Engines-98 exhibition the Lyulka-Saturn company presented its new AL-55 turbofan with the thrust of 2000 kgf. How could this engine be employed? Since the early 1990s, a new trainer aircraft capable of replacing the ageing Czech L-39 has been developed for the Russian Air Force (RusAF). 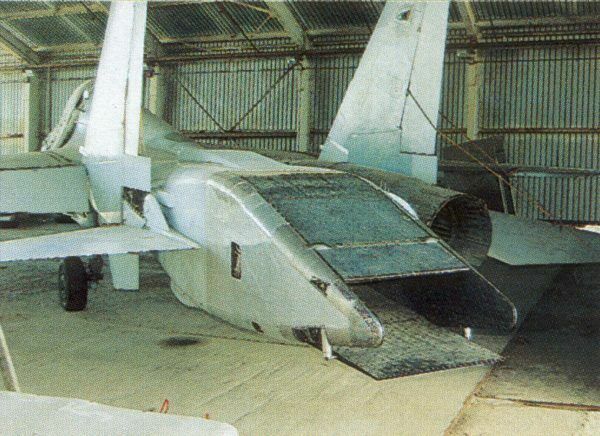 By now, prototypes of such an aircraft - MiG-AT and Yak-130 - have been built and undergoing tests. One of the problems the developers faced is the choice of the powerplant for them. The point is there are no modern light jet engines in Russia which could be mounted on the future trainer. As a result, the MiG-AT features the French-made Larzac engine that was developed as far back as the the 1960s. The Zaporozhye-developed AI-25TLs, that were made in Slovakia for L-39s, are roughly of the same age. The new trainer aircraft needs an up-to-date, light and powerful engine ensuring not only training pilots under the conditions as close to the fourth-generation fighters as possible, but using the trainer as a light attack aircraft or light fighter as well. The existing engines are hardly able to ensure accomplishment of those tasks. Have you seen those plane fly at airshows? Their aerobatics resembles demonstration flights of some civilian plane with low maneuverability. The reason is simple enough: low thrust/weight ratio. So we decided to build the AL-55 engine to fit it in a non-afterburning version on light subsonic planes with a take-off weight of 5-7 tonnes. Designing the AL-55, we chose an approach that later bore its fruit - we took the venerable and successful AL-31F as a basis, removed the afterburner and reduced the engines dimensions two-fold and it's thrust four-fold, which resulted in a very compact and light engine with a thrust of 2,000 kgf. Boasting the same weight as the Larzac engine does, the AL-55 develops the thrust that exceeds the Larzac's one by 40%. Using that approach, we managed to cut down on designing expenses because the basic engine aerodynamic characteristics had been thoroughly worked out, compressor stability was known well, strength could be modelled in full. Now, the design bureau is busy with issuing the AL-55 drawings, the Salyut plant has built the mock-up that will be displayed at the China-98 airshow. Our new engine could come in handy abroad too, since the aircraft of the same type as the MiG-AT are produced worldwide in greater numbers than, say, heavier and more expensive multirole supersonic fighters. Some media have reported lately that you and Moscow's mayor Yuri Luzhkov, accompanied by representatives of the Defence Ministry, paid a visit to the Rybinskiye Motory (the Rybinsk Engines) joint-stock company. What was the reason? We have been going ahead all the time. We have developed a fifth-generation engine that follows the AL-31F that is an absolutely new device featuring totally new aerodynamic characteristics. It was built through the use of all sophisticated methods of aerodynamic design, completely new approaches to securing strength, using utterly new materials, including various exotic ones, such as high-temperature ceramics, "carbon-carbon" and "boron-aluminium" compounds, etc. Everything our science knows has been embodied in this engine. The AL-41F, as we call it, has been developed since the mid-1980s. By now, it has completed flight tests in flying laboratories as well as most of the bench tests, and is ready for series production that is planned to be exercised at the Rybinskiye Motory plant. Would you mention some qualitative differences of the AL-41F as compared with the series-produced AL-31F? The first main difference is as follows. Each kilogram of the AL-31F weight ensures eight kilograms of thrust, while each kilogram of the AL-41F weight ensures development of a thrust of 10 kgf. Hence, the new engine is lighter, which will decrease the overall weight of the aircraft it is fitted to, since in practice every kilogram of the engine weight means five kilograms of the aircraft. The second difference is that the AL-41F is an engine providing non-afterburning supersonic cruise speed. Before the fifth generation engines came to being, every plane, including the Su-27, required enabling the afterburner to go supersonic. However, the afterburner increases fuel consumption nearly three-fold. How did afterburners come into existence in their day? Because designers could not burn all oxygen (about 20%) out of the air in regular turbojet combustion chambers, since the existing material could not be used to make turbines which could stand such high temperatures. So, the gas used to be completely burnt behind the turbine, i.e. in the afterburner. However, nowadays, with development of new thermoresistant materials, there is a good chance to considerably enhance the temperature used in the combustion chamber before the turbine. Ideally, when the so-called stechiometric temperature (around 2,500 K) is achieved, that will leave no oxygen in the air, the afterburner will no longer be necessary. However, there are no such materials which would stand such a temperature. However, the fifth generation engine now ensures a significant rise - 250 degrees - in the gas temperature before the turbine as compared to the AL-31F. The temperature in the combustion chamber exceeded 1800-1900 K, which made possible non-afterburner supersonic flights. Could you compare your new engine with its foreign counterparts? It may look strange but we do not lag behind at all: neither in development, nor as far as the schedule is concerned. There is a truly operational fifth generation engine in the US - the F119, built by Pratt & Whitney and mounted on the F-22 Raptor fighters. We know its characteristics -the foreign press publishes lots of relevant data. Americans have to fight tooth and nail for their money and prepare the public opinion, too. So, I can state definitely that our engine goes neck-and-neck with its American opposite number while surpassing it in some respects. I reckon the new MiG is finally going to fly this year. It is true that this MiG boasts our engines, it has been featuring them long enough. They are completely test-ready and fully comply with the parameters set by the directive of CPSU Central Committee and the Council of Ministers of the then Soviet Union. As to the division of the spheres of influence between the "engine-building" and "airframe-making" bureaus... We have very loyal attitude to competition of every kind. We have never considered a routine, natural competition to be evil. 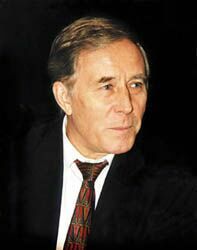 For example, let Alexander A. Sarkisov (Designer General of the St. Petersburg-based Klimov Engine Design Bureau. - Ed.)  have a go with the Sukhoi company, if it is for common good. In your opinion, what future does the fifth generation engine have considering the current state of the Russian economy and aerospace industry, in particular? Has it any chance to match the popularity enjoyed by the AL-31F? Well, firstly, as to the current dire straits, I have been working here for 15 years now. My predecessor Arkhip Mikhailovich Lyulka, founder of our company, had worked here more that 35 years at a stretch. Working here has never been easy. Before he passed away, Arkhip Mikhailovich had not taken vacation for four consecutive years, he was perfecting the engine now known as the AL-31F. His life was not enough to do it. It was me who had to finish the official state tests of this engine. The acceptance report was signed on 15 September, 1985. So, it has never been easy for aviators, especially for engine developers. Current problems are our routine. This is our attitude to problems. Now, as to the prospects for the new engine... If we do not keep moving, the whole world will overtake us. What we make is arms. The arms should not be bad. It must be top-notch. The experience drawn from the Persian Gulf war showed that one must not second-rate weaponry. During the Desert Storm operation, 25 F-15 fighters downed 280 various enemy aircraft, having lost none of theirs. That is why we should sell most sophisticated arms, and to do so, we must keep the pace. That is the only way to go. Nobody has learnt flying with no engine so far. The engine should be up-to-date, it should be lightweight. There are lots of other parameters to perfect, such as reduction of infrared and radar signatures. If our project fails, you bet that 15 years from now our aviation can cease to exist. Arms must be modern and first-rate, since lousy arms cannot be called arms at all. Thank you for your interesting interview.